A spinal tumor is an abnormal mass of tissue that has either grown within or metastasized to the spinal cord or bones of the spine. As a spinal tumor grows, it may compress nerve roots or the spinal cord itself, leading to pain, neurological problems, and even life-threatening paralysis. Sometimes, a tumor growing within the bones weakens the boney structures and causes fractures. The fractures happen because the bone loses its strength and breaks when the weight of the body is upon it. These fractures can cause intense pain and significant symptoms such as paralysis. Treatment is aimed at removing as much of the tumor as possible while preventing permanent damage to spine function. All of the back doctors at ProMedSPINE are board-certified neurosurgeons specializing in orthopedic and neurological spine surgery and pain management. At ProMedSPINE, we take pride in offering the most sophisticated technology and cutting-edge minimally invasive spine procedures to provide the highest quality of care for our patients. To learn more about our comprehensive treatment approach to spinal tumors in Los Angeles or to schedule an initial consultation, please call 888-75-SPINE. 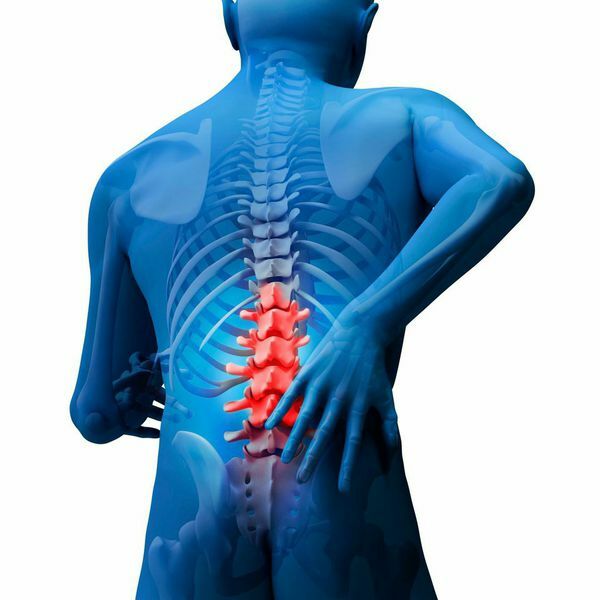 Learn more about spinal tumors from MedlinePlus. A spine tumor can be difficult to diagnose during its earliest stage because it may only produce back pain, a common symptom for a variety of conditions. Pain and weakness that is not activity related and that worsens at night may indicate a spinal tumor rather than another spinal condition. Additionally, individuals who have a history of cancer and develop new back pain or neurologic symptoms should consult with an experienced spine surgeon. If a tumor is found on an MRI or CT scan, a biopsy is usually conducted to determine whether the mass is benign or malignant. While the main goal of treatment is to remove the tumor and restore spinal stability and function, the type of procedures used and the order and combination of treatments can actually be quite complex. During a comprehensive consultation, your spine surgeon will thoroughly evaluate all diagnostic studies and go over all treatment options specific to the characteristics of your tumor, the condition of your spine, and your overall health. Most tumors within the vertebrae can be removed surgically with a relatively low risk of nerve damage. Using a minimally invasive endoscopic technique, our surgeons can remove the tumor and replace the damaged vertebrae with a titanium mesh cylinder. This implant is then filled with milled bone to encourage healing and fixed with instrumentation to the adjacent healthy vertebrae to restore stability to the spine. When a tumor is located within the middle or inner layers of the spinal cord, it may be difficult to completely resect without a high risk of nerve damage. Having trained extensively in the delicate and precise art of minimally invasive spine surgery, our back surgeons are often able to partially or fully resect spinal cord tumors that in the past would have been deemed inoperable. Microscopic surgical techniques have greatly improved the ability to distinguish tumor from healthy tissue. We also implement the latest computerized navigation/nerve monitoring technology in order to minimize nerve damage during the procedure. When a malignant spinal tumor can’t be removed completely with surgery, radiation therapy and/or chemotherapy may be used to destroy or slow the growth of the cancer cells. Radiation and chemotherapy are also sometimes used as the first line of treatment against aggressive metastatic tumors. The decision to undergo these therapies should be a highly collaborative one between you, your surgeon, and an experienced radiation oncologist. ProMedSPINE is a Los Angeles-based practice with locations in Beverly Hills, Encino, and Valencia dedicated to state-of-the-art, comprehensive, individualize care for diseases and conditions of the spine. Led by renowned neurosurgeon and leading expert in minimally invasive spine surgery, Todd Gravori, MD, we offer the most advanced and effective treatment options available to relieve chronic pain associated with spinal degeneration or injury. To learn more about spinal tumors or to schedule an initial consultation, please call 888-75-SPINE or fill out our online contact form. Next, learn about facet degeneration.